At some point in your career, you will need to deliver a powerful presentation. Whether it’s in front of a small group or a large symposium, you want to do your best. However, the art of presenting isn’t as easy as people think. Some of the most critical ingredients include establishing great rapport with the audience, expert knowledge on the topic, and creative delivery and execution. It’s understandable why some people get the jitters right before they get up in a room full of expectant people. It’s likely that you’ve already facilitated presentations during your time in school, such as in class discussions or your thesis defence. As you grow older, these may have evolved into client meetings, product pitches, or training sessions. As such, the value of having effective presentation skills becomes more important, especially for team leaders or those in sales positions. Being constantly surrounded by people you want to impress and effectively training the future leaders of your corporation is a significant step in your company’s growth. 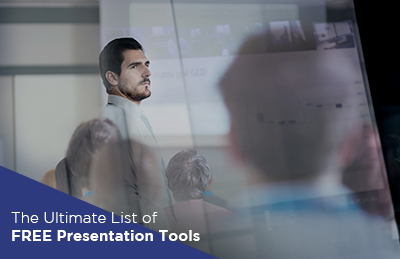 If you need the ultimate resource to help you get started with crafting an excellent presentation, then you came to the right place. Look to the infographic below for some tips that can help you ace your next presentation. If you were assigned an issue to tackle, then it is your responsibility to research about it well enough. In this manner, you’ll be able to discuss it thoroughly with your audience and answer their questions afterwards. If you have the free reign to choose, go for something that’s timely and relevant to incite more meaningful discussions with your attendees. Use examples and scenarios they can relate to. You can’t go to a presentation empty-handed! Knowing your topic is half the battle; having the right audio-visual aids is the other half. Choose the best tools that will stimulate your audience. If you need a video, photo gallery, or even music, make sure to prepare and label them in the right sequence so that you don’t fumble once you’re on stage. You can also integrate them in your presentation slides. A great way to make your presentation a bit livelier is to add an interactive element. Having a game is a simple yet effective way to do so. You can give your audience a puzzle to solve, break them into groups for discussion, or have a simple icebreaker. Add a Q&A portion at the end of the presentation, so they have a chance to clarify some points and even start more meaningful discussions afterwards. When making a visual guide, you only want your main point to appear on the slide. Place a topic sentence, format numbers and statistics to look bigger, or maybe flash an intriguing image. Avoid placing large chunks of text—people will be too lazy to read it. 2. Don’t go overboard with animations. Animations are great, but too much can distract your audience. Just stick to one effect instead of applying a different one for each slide. Only do it when necessary, such as to emphasize a point. Avoid pixelated photos or graphics that don’t add value to your slides. 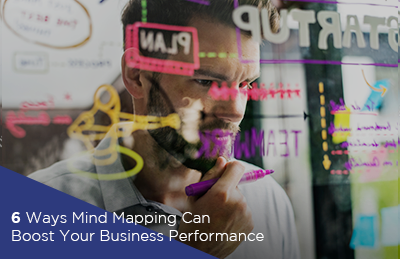 Use images that match the message you want to convey. For instance, don’t use cartoony clip-art photos in an important investor meeting. Use stock images from the internet that feature real people instead. 4. Choose an appropriate theme for your presentation. Decide whether a vibrant or muted color palette will work best with your presentation. Don’t assume that all business meetings should have a dull, monochromatic look. Use colors to your advantage, such as in graphs and charts. Choose hues that are easy to look at. For instance, stray away from neon colors (bright yellows, oranges, pinks, etc.). 5. Have a readable font. Don’t use cursive fonts too much. Aim for big, bold sans serif letters that people can easily read from afar. Reading from a script may sound too stiff and robotic. If you present in a story-like manner, it will give more life to the session. Flawless storytelling is also an indicator of subject mastery. 2. Connect with your audience. Don’t be afraid to use conversational language. This will not affect the quality of your presentation. In fact, using technical jargon and highfalutin words can alienate and intimidate your listeners. You could base the success of your presentation by knowing how many people understood it. You can never have too many rehearsals! Practice in front of a mirror, in front of close friends or colleagues, and even in the actual venue if you get the chance. Rehearsing will instill comfort and allow you to move more freely onstage. Ask critique from your mock audience and have them ask you questions, so you’re prepared on the day of your presentation. 4. Enunciate and articulate your voice. Exercise your voice. Repeat the words you have trouble saying over and over again. If you’re presenting in a large space, modulate your voice in such a way that everyone in the room will hear it. Adjust if you’re speaking in a smaller place. If it helps, you can record yourself so that you can gauge the volume of your voice, as well as your diction. 5. Find your own pace. 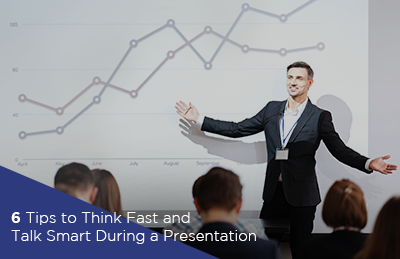 If you have a timed presentation, try to adjust your content flow to fit it. However, don’t attempt to speed up or slow down talking just to fill the time. Your presentation isn’t a race. You need to make sure that your audience understands you too, so it’s better not to rush. Accidents can happen. You may have been very well-prepared, but technical difficulties can arise and affect your presentation materials. Always have backup copies of your digital files in the event of a mishap. Learn how to improvise so that you can keep your momentum going. Finally, the most important tip of all is to breathe. Getting nervous right before you present is normal, but once you get on that podium and remember everything you worked hard for in preparation for your presentation, and things will kick off fine. Speaking doesn’t come naturally or easily to anyone. All the greatest presenters you know started from somewhere, too—and the key is weeks- or months-long preparations, coupled with dedicated practice. On your spare time, you can watch presentations from industry-specific thought leaders online and try to take note of their best practices. If you wish to take it a step further and enrich your presentation skills, professional training can help a great deal. Guthrie-Jensen Consultants’ Powerful Presentation Skills workshop will walk you through the live applications of the tips above, as well as more insider information that can help presenters handle any situation. Grab any opportunity that will allow you to present in front of people so that you can sharpen your skills. As long as you keep putting in an effort by continuing practicing and learning, you’ll be a pro at public speaking in no time.